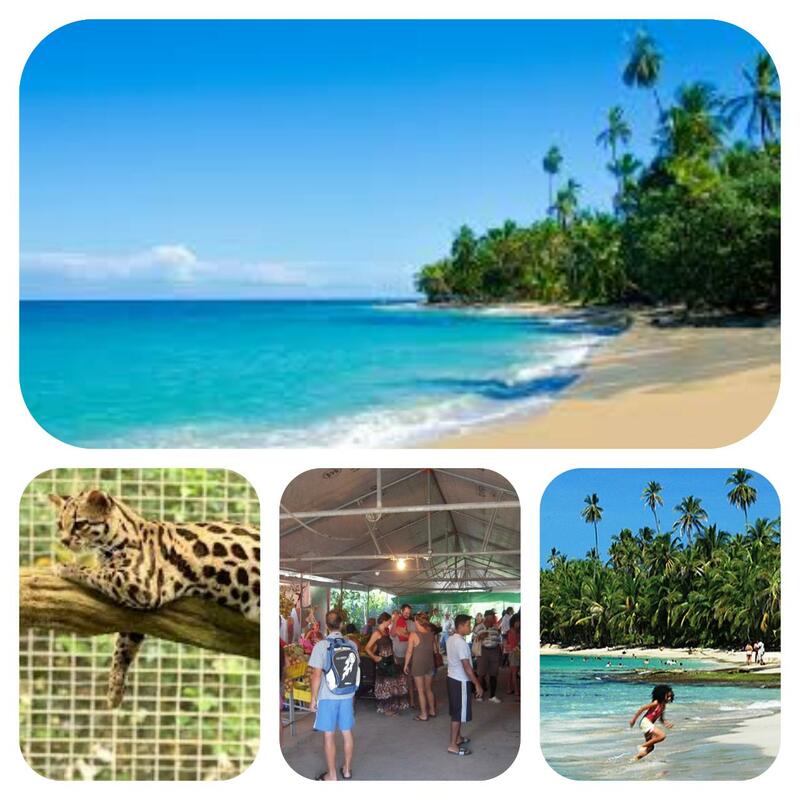 Saturday's Caribe Fun Full Day tour! We will pick you at your Hotel In Puerto Viejo area between 8:00 / 8:30 AM, then our guide will take you to the Local Farmers Market where you will have the chance to see, try and buy all the fresh and local products made it by the Local Farmers, you can get a steamy cup of coffee or fresh fruit to start the day the best way possible. We are going to spend like 30 min here, after this we'll head to the Jaguar Rescue Center, one of the must see places in town. The Jaguar Rescue Center is an organization dedicated to the rehabilitation ad reinsertion to nature of all kind of wild animals that have been injured or are in harm, a truly laudable endeavor! After the 1.5 hrs tour in the Jaguar Rescue Center, we are going to move on to the Cahuita National Park to have a break at the beach enjoying some fresh fruit or a coconut by the entrance of the park and then continues with a beautiful hike that goes along the beach and also through the rain forest jungle for 1.5 hrs where we are going to have the chance to see the animals in their natural habits while we enjoy the nice ocean breeze and sounds of nature.